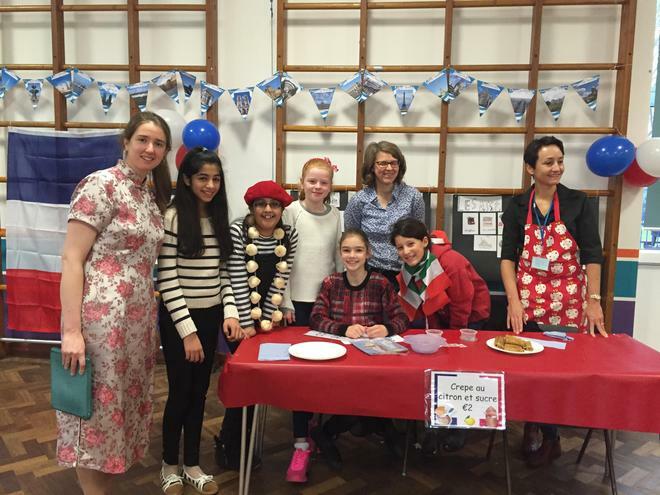 Last Friday we had our International Day. We all dressed up to represent a country from around the world. There were some Spanish, French, German and Japanese costumes, among others. We also had a French café where all of the children had to speak in French to the waiters. KS2 were tested by an adult to earn their spending money whereas KS1 were given a tick sheet and were allowed to have one of each food. In class, children learnt a variety of languages and about life in other countries. Each class also practised a song or rhyme in French which they will perform in assembly.